The Slede chair: modern and harmonious lines come together for this modern creation by brand Slide. The Slede chair is a fascinating creation by Slide, an Italian brand appreciated by designers and consumers alike for the great originality in its products proposals. The Slede chair is a very modern piece of furniture from the soul, an object that definitely flaunts simplicity and great stylistic harmony as its key strengths. 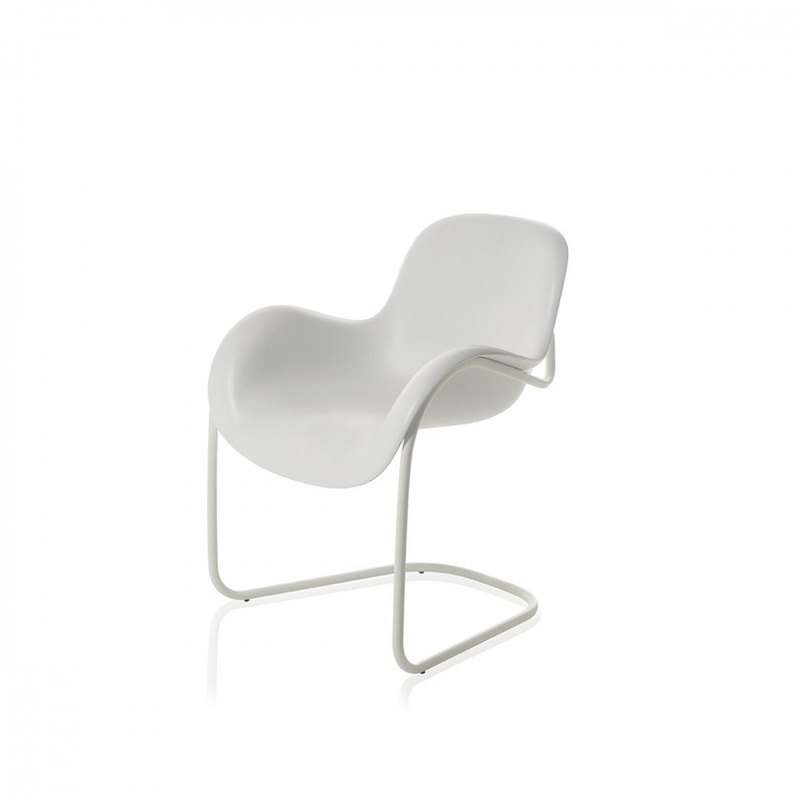 This chair came about from a project by eclectic Canadian industrial designer Karim Rashid, who was inspired by the classic cantilever chair, adding an innovative, more daring edge. 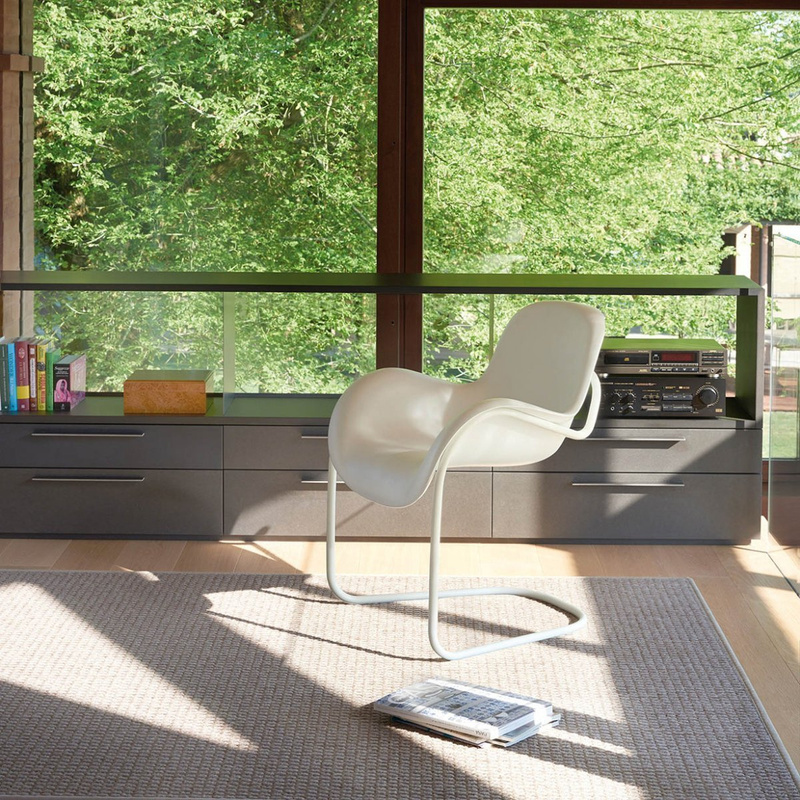 The Slede chair consists of a metal shell which supports the movable pieces ensuring great strength and resistance, and of a cylinder block which encompasses the seat, chair back and also the lateral armrests. 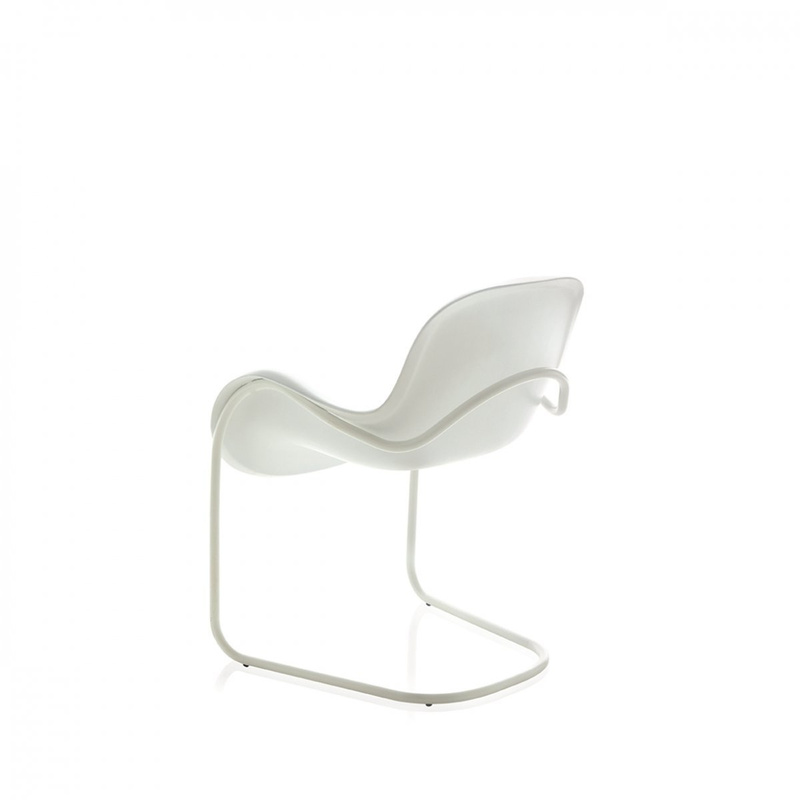 For this part of the chair the designers went with soft polyurethane material, a plastic element of great strength and utmost reliability, created through injection-moulding technology, a very modern technique. Overall, the chair appears clean-cut and pleasant, and as mentioned previously it features great harmony, appreciated from the onset. 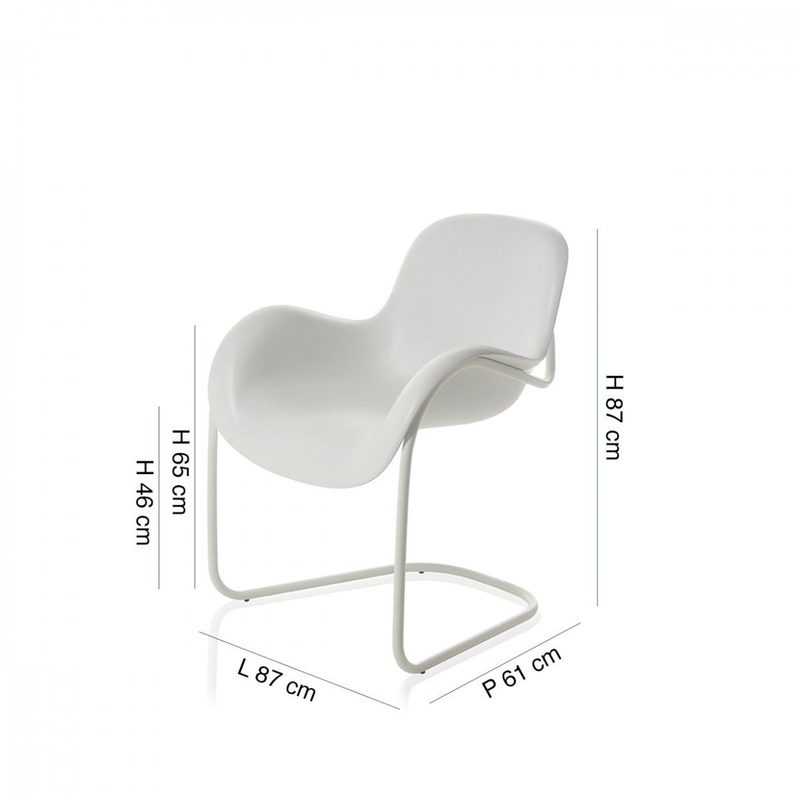 This chair can also be used in many different contexts, from the living room to the bedroom, as well as outside the home, such as offices and waiting rooms. Although it is a very modern object, its simplicity makes it a genuinely versatile piece. The materials that Slide has chosen for Slede Chair actually allow it to be safely used also outdoors. As a matter of fact, the materials used to produce this piece remain intact in light of solar rays and weathering. Even on a level of comfort, this extremely original chair comes to play, designed with maximum attention to ergonomics. Info: also suitable for outdoor use. Clean the product with soft cloth for rubbing, especially in the event that the surface is in contact with a particular dye substances. 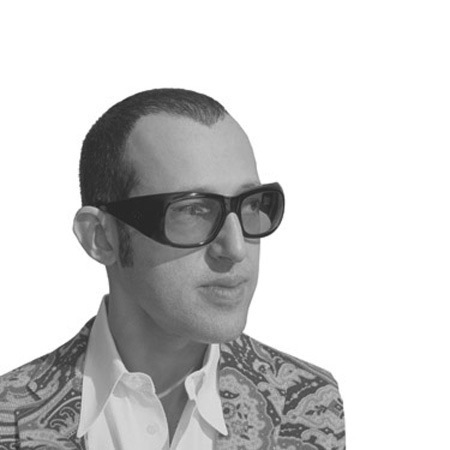 Karim Rashid is one of the most prolific designers: over 3,000 produced projects and more than 300 awards. His works include projects for Christofle, Veuve Clicquot, Alessi, Umbra, Bobble and 3M; design items for Bonaldo and Vondom; lighting for Artemide and Fabbian; high technology products for Asus and Samsung. He was awarded with the Red Dot, Chicago Athenaeum Good Design award, I.D. Magazine Annual Design Review, IDSA Industrial Design Excellence award. SLIDE is an Italian manufacturer of luminous furniture. An enlightened use of light brings on emotions, reason why all the SLIDE products are also light sources. An absolute minimum of wiring, simple to install, a clean and versatile design with a myriad applications, plastic materials which are both light and robust, basic forms which do not take themselves too seriously and lots of colour.